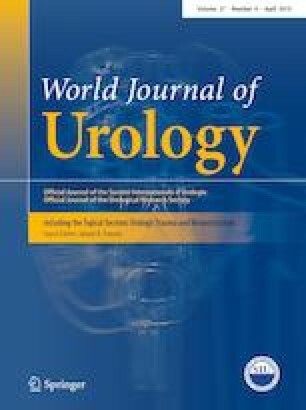 The records of all children, who underwent MIS and open repair of retrocaval ureters in six international pediatric urology units over a 5-year period, were retrospectively collected. Data were grouped according to the operative approach: a laparoscopic group (G1) included five patients, a robotic-assisted group (G2) included four patients, and an open group (G3) included three patients. The groups were compared in regard to operative and postoperative outcomes. At follow-up, all patients (one G1 patient after redo-surgery) reported complete resolution of symptoms and radiologic improvement of hydronephrosis and obstruction. In regard to postoperative complications, one G1 patient developed stenosis of anastomosis and needed re-operation with no further recurrence (IIIb Clavien). G2 reported the lowest average operative time (135 min) compared to G1 (178.3 min) and G3 (210 min). MIS (G1–G2) reported a significantly better postoperative outcome compared to open repair (G3) in terms of analgesic requirements, hospitalization, and cosmetic results. The study outcomes suggest that MIS should be the first choice for retrocaval ureter because of the minimal invasiveness and the better cosmetic outcome compared to open surgery. Furthermore, our results showed that robotic-assisted reconstruction was technically easier, safer, and quicker compared to laparoscopic repair, and for these reasons, it should be preferentially adopted, when available. ME: project development, data collection, manuscript writing, and manuscript editing. LM: data collection, data analysis, and manuscript editing. JSV: data collection, data analysis, and manuscript editing. PJL: data collection, data analysis, and manuscript editing. BT: data collection, data analysis, and manuscript editing. IM: data collection, data analysis, and manuscript editing. CE: project development, data analysis, manuscript writing, and manuscript editing. The authors declare that they have no conflict of interest or financial ties to disclose.